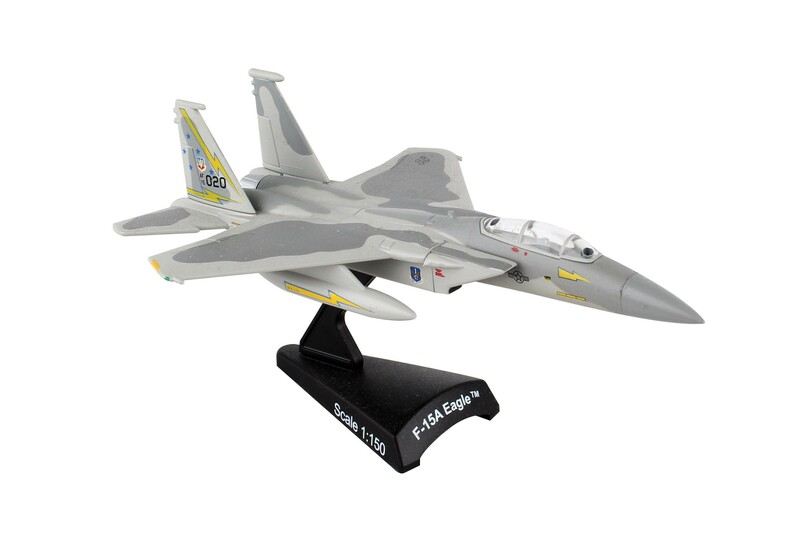 The F-15A is an American twin engine all weather air superiority tactical fighter, designed to gain and maintain superiority in aerial combat. Designed by McDonnell Douglass (now Boeing) as a replacement for the F-4 Phantom, the first test flight occurred on July 27, 1972 at Edwards AFB, CA. The F-15 entering service in 1976. with it's superior maneuverability, acceleration, range, weapons, and advance avionics, it is among the most successful modern fighters, with over 100 victories and no losses in aerial combat. The 318th Fighter Squadron Green Dragons were based McChord AFB in Washington state. Established in 1942 during WWII and active until 1989, the Green Dragons established themselves as one of the USAF's premier fighter squadrons. In 1984 the squadron won the right to participate at the USAF "William Tell" Weapons Meet, a competition for the Best US and Canadian Fighter Squadrons. Also in 1984, they won the Hughes Achievement Trophy, an annual award presented to the Air Force's top fighter squadron. . This Die-cast metal airplane model comes in 1:150 scale with plastic stand and is approximately 5 3/8 inches long with 3 7/8 inch wingspan.